Our Hallmark Series makes owning a personal oasis at home easier than ever. 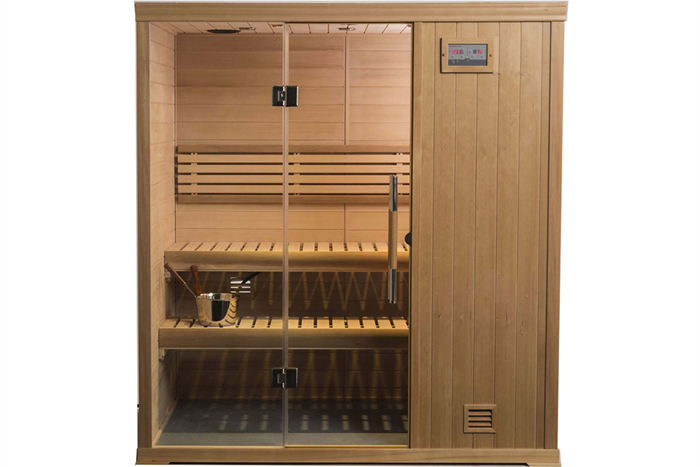 Easy to assemble, yet loaded with upgrades usually found only in designer-type saunas, Hallmark puts the opportunity for a daily chance to relax and recharge within reach of everyone. 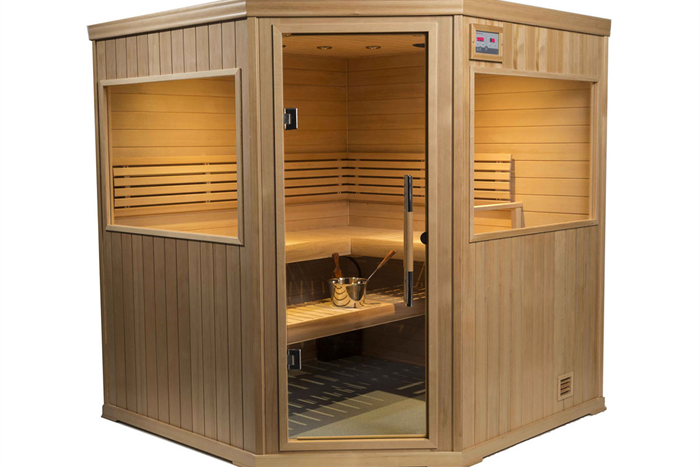 But even though you wouldn’t know it by looking at it, Hallmark is well-known as one of the best values in traditional saunas. And its clever hook and pin panel design means Hallmark is easily assembled in less than an hour. Choose from 5 sizes (4x4, 4x6, 5x5 corner, 5x7 and 6x6 corner). And if you like the idea of being able to take your sauna with you, consider the HM44. This simple 6 panel version is even easier to assemble and take down, yet still boasts all Hallmark features.